What can I say about Antarctica? It really does occupy a different world than the one we live in. First and foremost, the human factor is such a minor one on this continent…we simply haven’t had the time to make our imprint on this frozen landscape. Much of this has to do with the fact that it was only discovered relatively recently, in 1820, and since then has been more or less shielded from human habitation or industry. 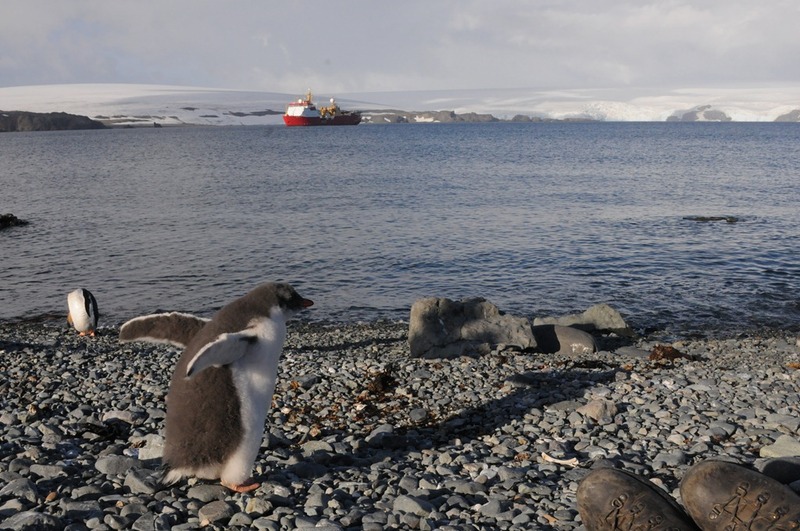 True, I journeyed to Antarctica in January 2012 for the penguins and the glaciers…but what really made this place unique to me was the international aspect of the land. Though some may dispute this, it belongs to no one country, but is instead shared by researchers from around the globe. For a traveler like myself used to the hoopla of passing through international borders, it was fascinating to see how easy it was for nationals of Russia, China, Chile, Korea, Uruguay, Argentina, and other countries to freely intermingle and walk unopposed through each others bases. Nowhere else in the world that I know of is this possible…it’s a phenomenon to be experienced, to say the least. 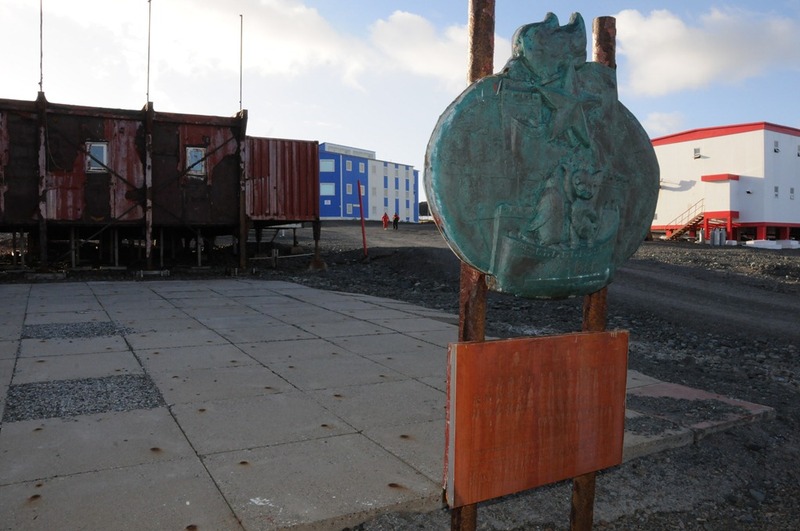 But first…the backstory, how did I even get to Antarctica? Before I did the research, I wasn’t even aware of the fact that you could even fly there, much less visit as a tourist. Essentially, it came down to the fact that myself and several other world-traveling speakers specializing in Microsoft SharePoint decided that it was about time to organize a speaking event on the final continent that we had yet to speak on. There had never been an organized event to speak on SharePoint there, so we set a goal to visit with the primary purpose of ‘spreading the SharePoint love,’ as we put it. The perfect opportunity came in the form of an organization we created in 2011 called Sharing the Point (STP), a speaking tour group with the recognized goal of spreading the reach of SharePoint beyond its ‘traditional’ borders. We had previously organized an STP event back in 2011 that visited Beijing, Manila, and Vietnam, and were looking for the next set of destinations. 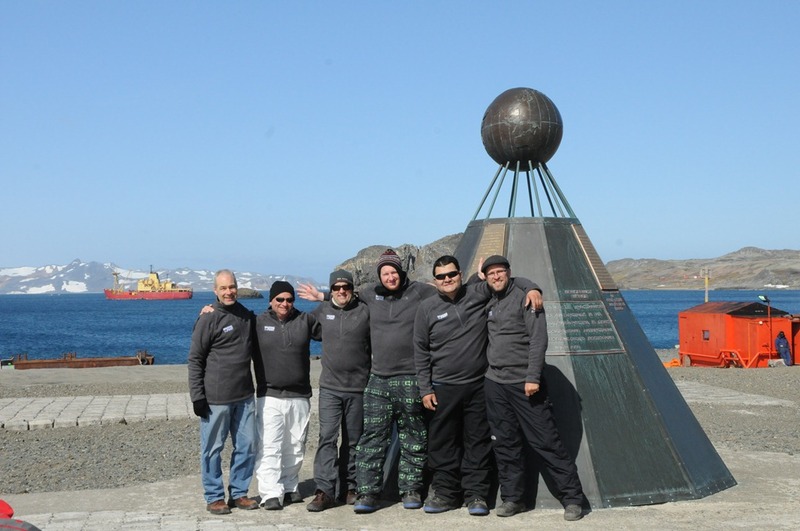 The large South American metropolises of Buenos Aires, Montevideo, and Santiago were logical choices, and with the phenomenal support of SharePoint companies FPWeb and AvePoint we took the opportunity to arrange for the final stop to be organized on Antarctica itself! Apparently there are regularly scheduled flights to Antarctica! The only issue is that you need to essentially charter your own plane and buy all of the seats to fly it down there. Fortunately, there was a company that specializes in this and has airplanes specifically suited for the task. 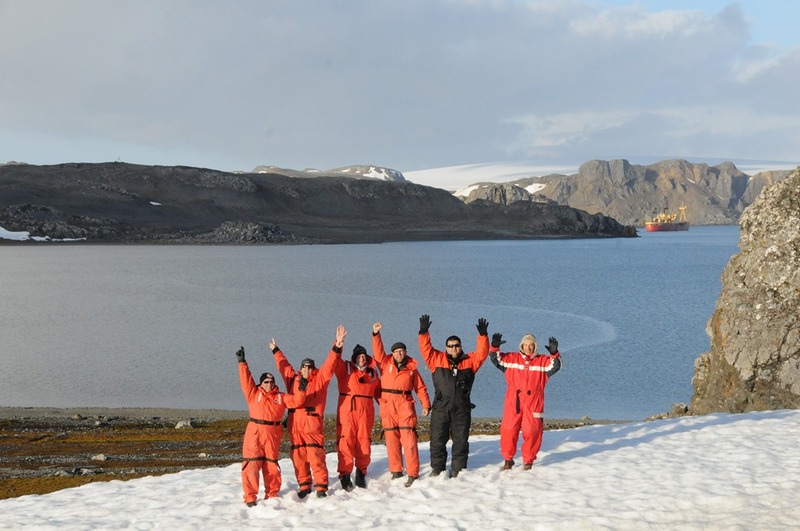 The company we used was Victory Antarctic, a tourism provider that organizes cruises and flights down to the 7th continent. 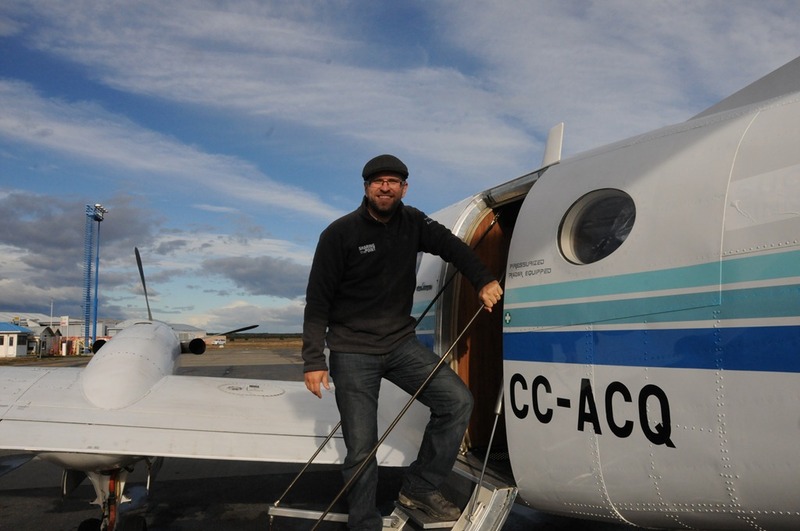 The flight itself is a comfortable three hours long, and the plane we flew on was a turboprop, a Beechcraft King Air 100 that seats six passengers. It was a very comfortable ride, we flew up to 28,000 feet for the majority of the flight and only had a few minor bumps. The landing at the Teniente Rodolfo Marsh Martin air field (SCRM) is quite interesting, as it is a runway composed of crushed gravel, a first for me. 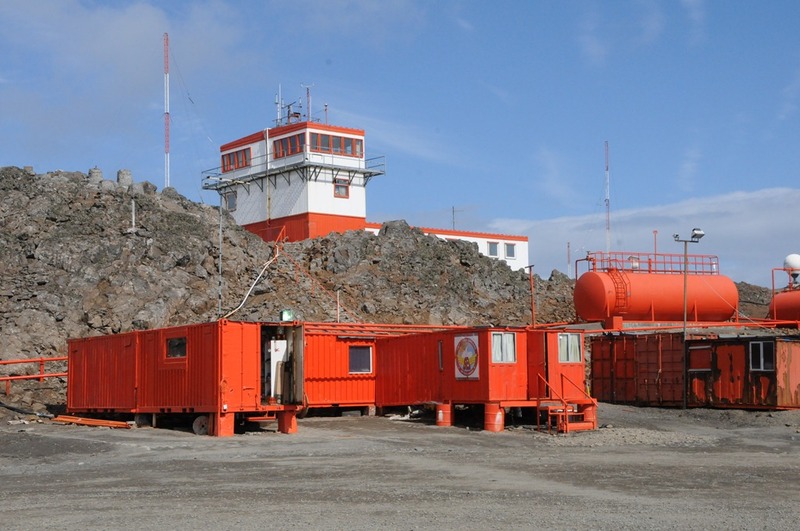 The airport, run by the Chilean Air Force, is the largest and only Antarctic airfield that is not made up of ice, and is subsequently fairly important for the research stations here. Indeed, there were a surprising number of landings that took place in our time here, this airfield was quite busy considering its location! 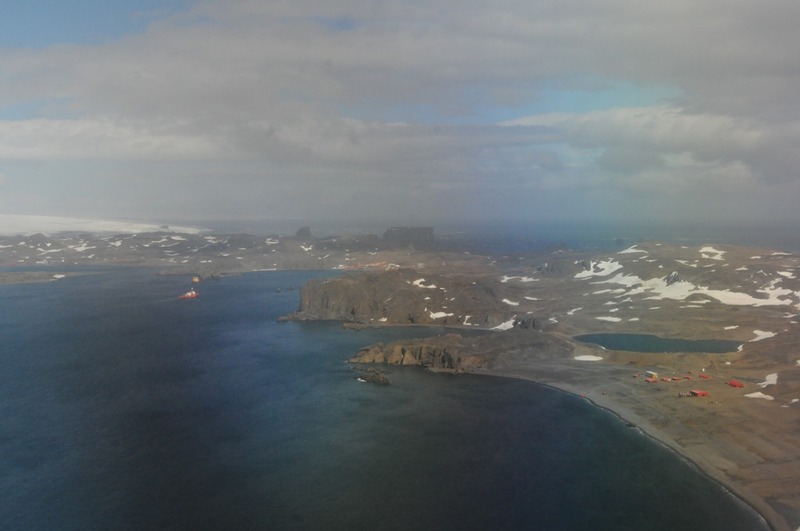 We arrived in the height of summer, in the warmest part of Antarctica no less. Subsequently, the temperatures were not bad at all, and would be above freezing during the day and only slightly dip below freezing at night. 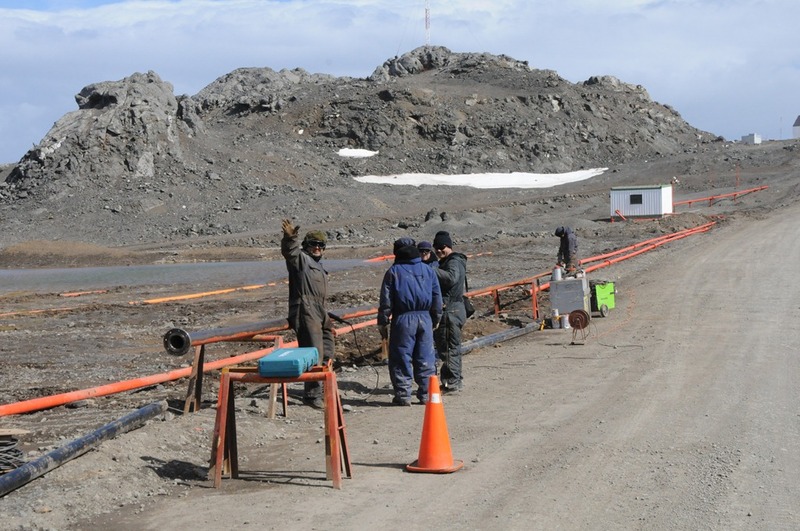 This was the time of year when the research facilities would have their new construction and upgrades performed, and we witnessed more than a few workers putting in new infrastructure at the Russian, Chilean, and Chinese research stations there. Indeed, the spirit of international cooperation was extremely powerful here. 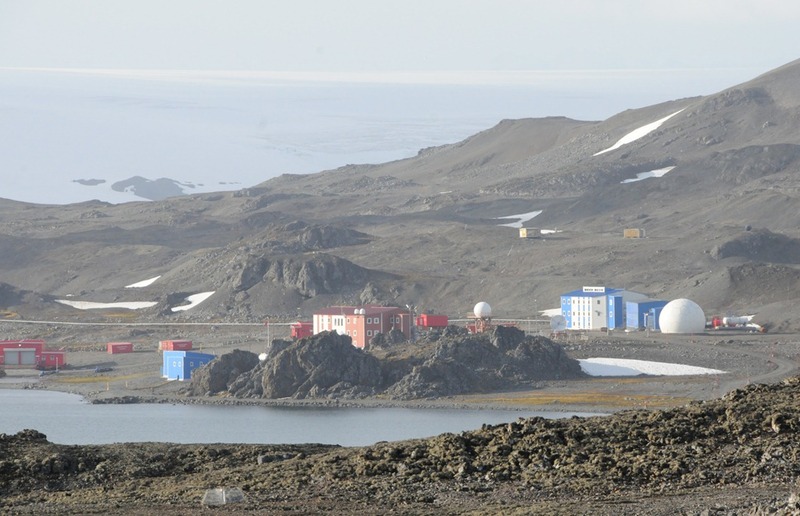 King George Island, where we stayed, has the densest concentration of research and civilian population centers, with Chilean, Russian, Uruguayan, Argentinian, Korean, Polish, Peruvian, Czech, and Brazilian bases all within a short hike or a zodiac ride from each other. Indeed, many of the workers and researchers from each of the bases know each other and exchange gifts, local foodstuffs, and help when needed. In our discussions with the Russian and Chilean base commanders, we found that the spirit of cooperation goes even further. The Chinese have the best Internet uplink, for example, so it is often shared by researchers from different stations. 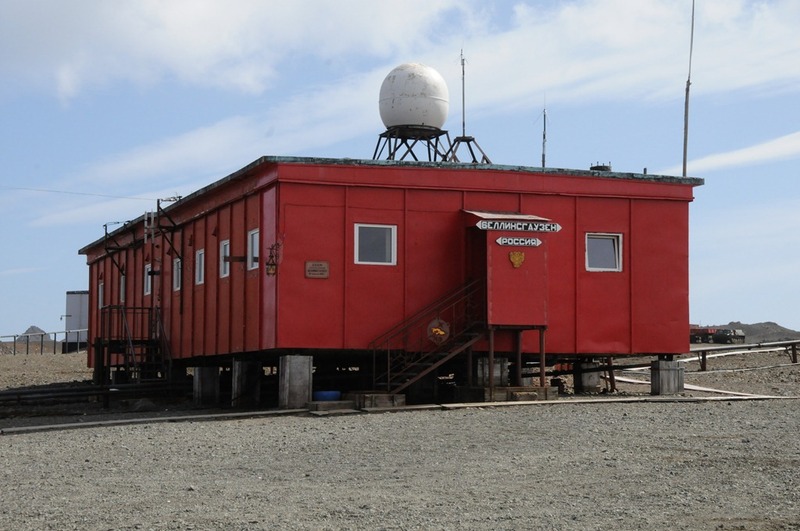 The Chileans have banks and a post office in their settlement that are used by the others and the Russians have a diesel generator and a reservoir that are used by the Chilean civilian population. Forget the United Nations, this is the true international body! 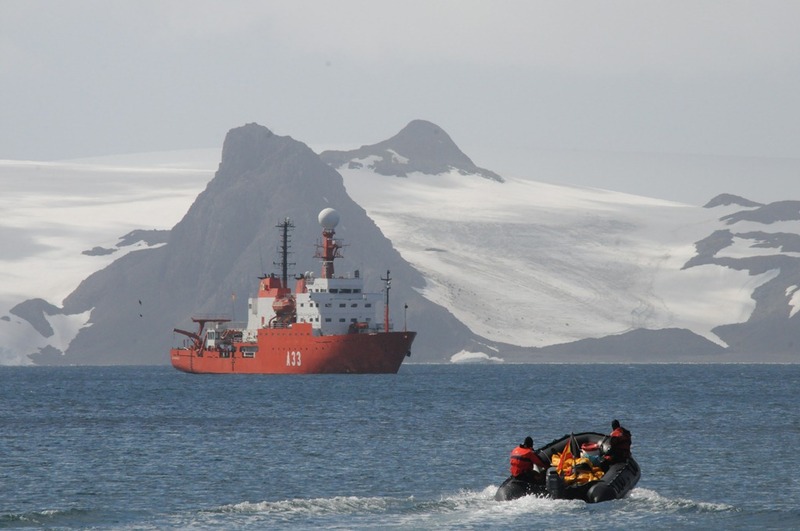 All of this cooperation is driven by the mandates of the Antarctic Treaty, which went into force in 1961 and regulates international relations on the continent. It prohibits military activity and testing and indicates that Antarctica is only to be used for peaceful purposes only. Indeed, the Antarctic Treaty was the first arms control agreement implemented during the Cold War, which is significant in its own right. 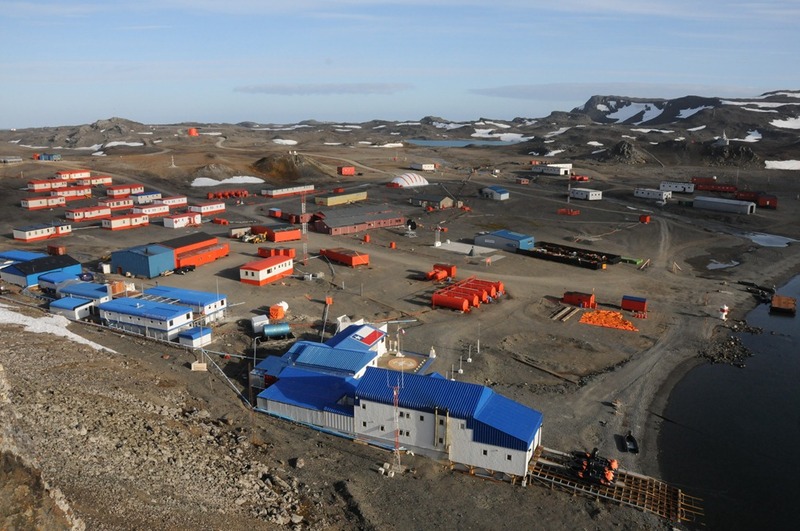 The largest settlement in Antarctic is just down the road from the airport, and consists of the original Soviet (now Russian) base named Bellingshausen Station, after the Russian admiral who discovered the Antarctic mainland. 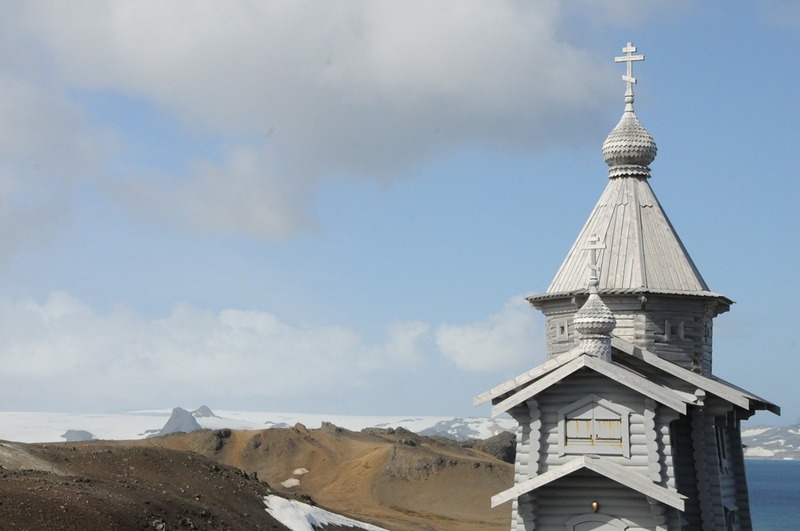 The Russian side of the settlement also includes the most southerly Eastern Orthodox church in the world, the Russian Orthodox Trinity Church, built in Siberia and then shipped in pieces down to Antarctica in 2004. The interior of this church is beautiful, and it is open to the public at all times. Indeed, none of the buildings in Antarctica are ever locked, another sign of the cooperative attitude amongst nations here. 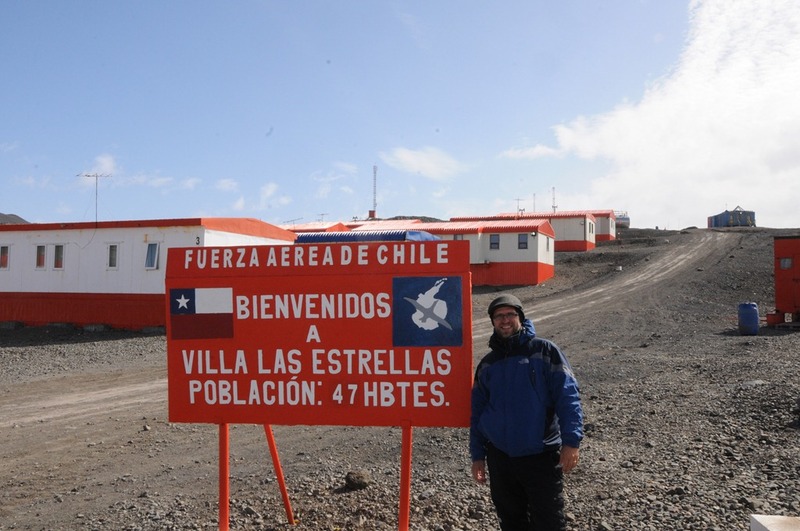 This Chilean village is interesting in that it is run as a real Chilean city and it houses a civilian population that consists of the families of the Chilean military base officers and staff. 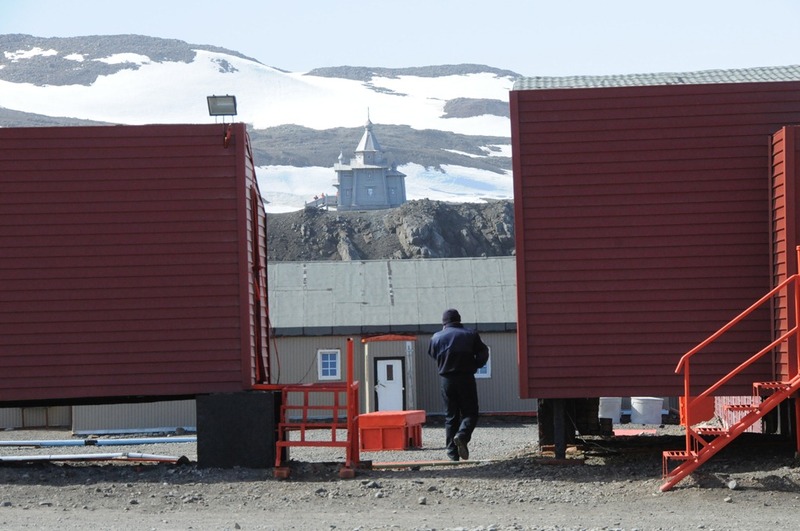 Each officer or enlisted personnel is stationed at the base for a period of two years and, aside from the occasional holiday break, lives in the orange roofed housing in the village. The village itself even includes a bank, a hospital, and a post office where you can send postcards back to the rest of the world. 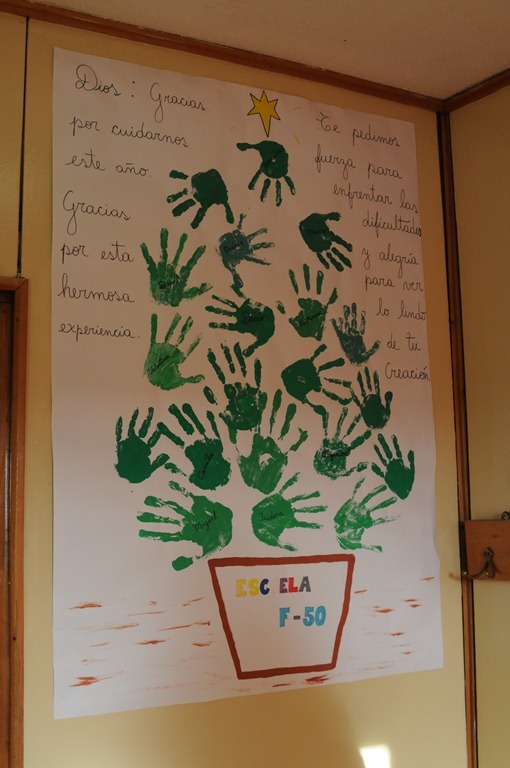 It is quite interesting to imagine what it is like to spend two years of your childhood growing up here, and a quick visit to the elementary school in the village gives a quick glance at the lives of these schoolchildren here in one of the most remote places in the world. We were lucky enough to have a conversation as well with the Chilean commander of the facility, Colonel Alan Mejías. He, along with the ex-Russian commander, several Russian workers and researchers, a Czech researcher, and several Chileans were among those who we discussed our conference topics with. After all, this was intended to be the first SharePoint conference on the final continent, and we were intent in getting our message across. The Chinese research base, known as the Great Wall station, was another that deserved attention simply on account of its size and ambition. While still smaller in terms of population than the Chilean base, it was the only one that had multi-storied buildings and a recently built large soccer ball style satellite facility that they used for Internet uploads of research. According to our guide, the download speeds on the Chinese satellite link allowed for 8GB a second to be downloaded. Whether this is true or not, it was obvious that this was the most serious Internet link on the continent. Incidentally, if you ever do make it down here, getting online is not that big of a challenge. There is mobile phone coverage provided by Entel, though you need a handset from them for it to work properly (i.e. no roaming.) We also were quick to find the open WiFi hotspot ‘dgac’ that was emanating from the Chilean air field, which provided a decent upload and download link, provided you sat outside in the area near the Russian base to do your browsing. 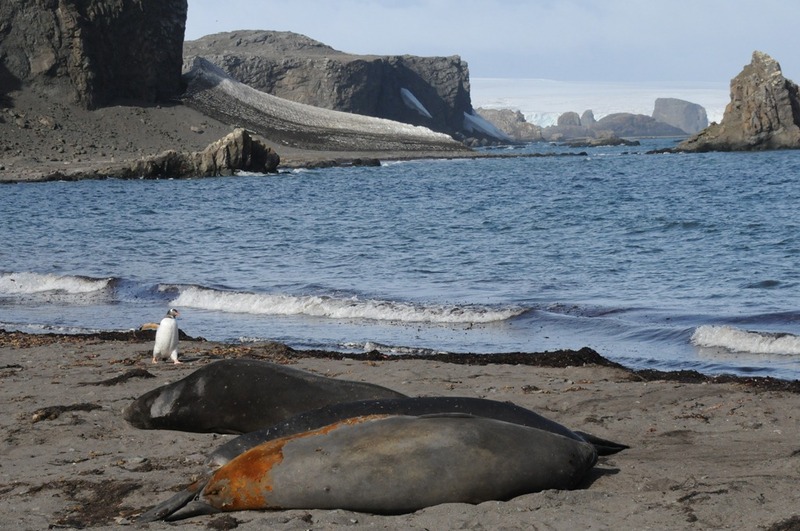 As part of our journey to Antarctica, we also had the opportunity to travel around King George Island and neighboring Nelson Island in zodiac rafts to see the glaciers and the wildlife in the area. 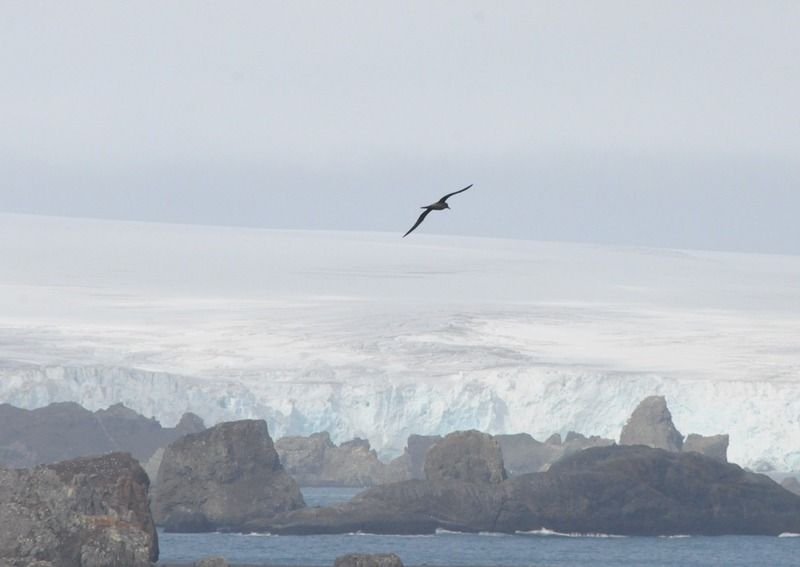 If you think of Antarctica as a barren, frozen place with few animals, you’d most definitely be wrong. This place is teeming with wildlife, much more than I have seen in many parks in more populated continents. 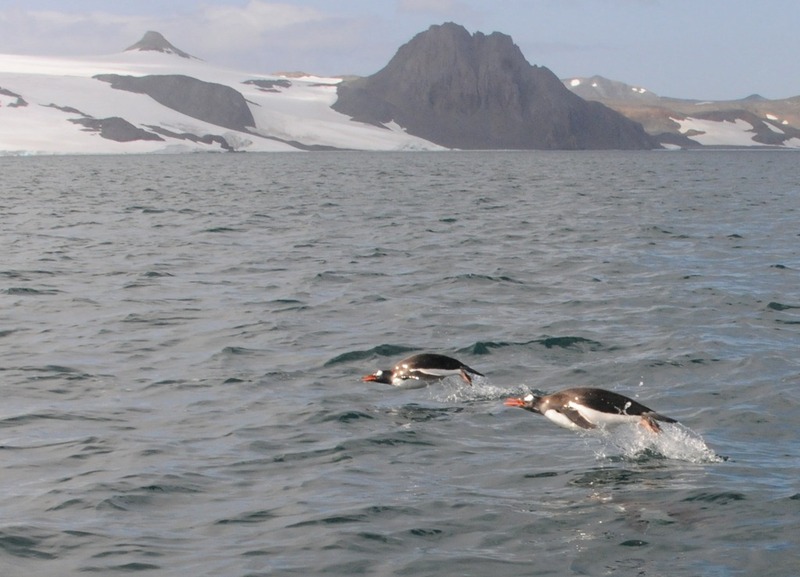 Curious penguins would swim alongside us, leaping out of the water, or ‘porpoising’ at high speeds. 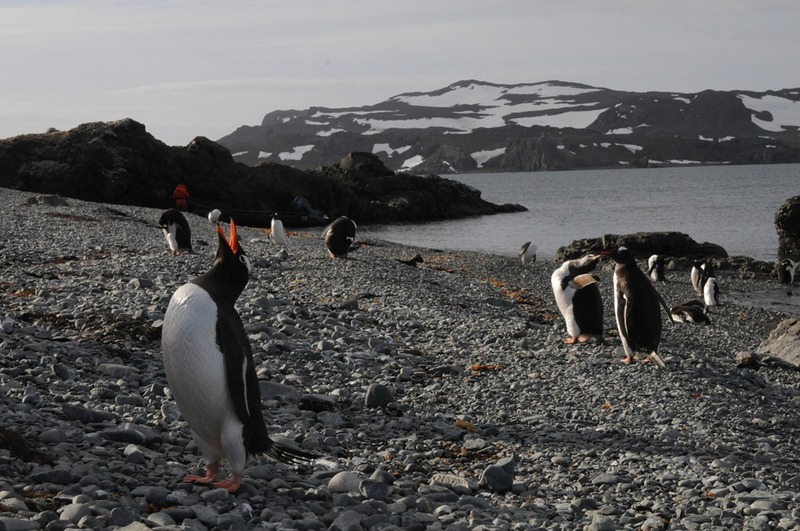 Entire flocks of these penguins would swim up to our boat…groups of 50 or more. Before this trip I had no idea that penguins even swam like this, much less in giant groups. Indeed, one of the highlights of the trips was our visit to the Penguin rookery on Ardley Island. This rookery is somewhat unique in that it holds penguins of multiple species, including Chinstrap Penguins, Gentoo Penguins, and Adélie Penguins all sharing the same rookery to raise their chicks. A visit to this place at this time of year is like planting yourself directly into a ‘Happy Feet’ movie. 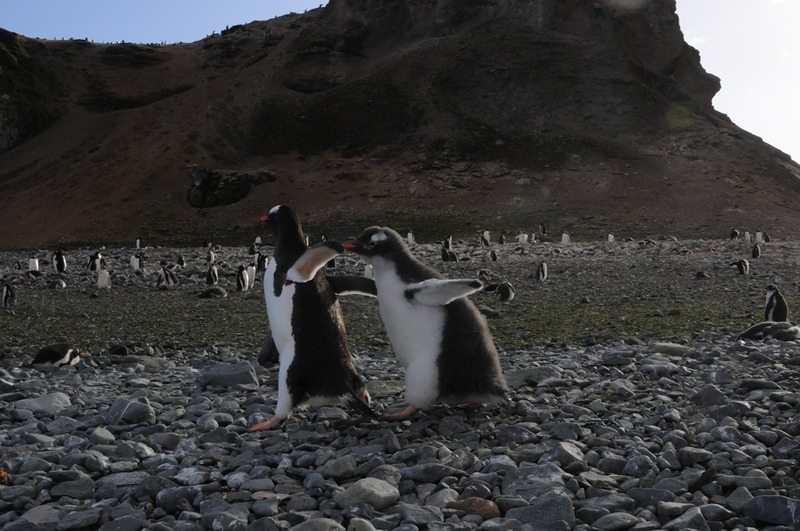 The clumsy chicks run around after their parents, looking for a free meal, and the constant sound of penguin cries fill the air. According to the terms of the Antarctic treaty, you aren’t allowed to bother or inhibit the behavior of wildlife, so you couldn’t come up and grab one of these guys, even if you wanted to. But they are allowed to approach you if they feel up to it. If you sit down or even lay down (watch for their, ahem, droppings first) they are all curious to come up and nibble on your clothes or even, in the case of my friend Joel Oleson, jump on top of your face. All of the animals we met in Antarctica had absolutely no fear of humans, because we never gave them a reason to fear us in the form of hunting or major intrusions into their lives. We would have large soaring birds fly right above our zodiacs and check us out, penguins run across an entire beach to see who we were, and elephant seals stare intently at us. This place is an animal lovers’ dream. 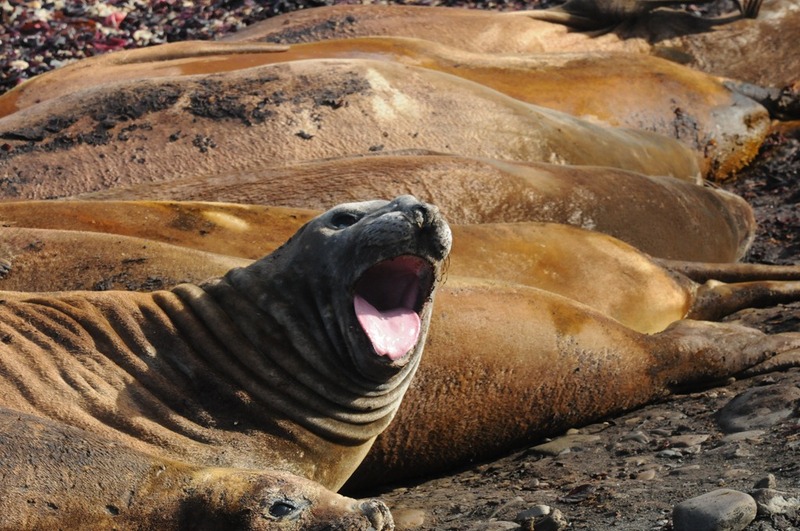 The elephant seals basking on the beach near the airport are also an amazing thing to witness here. The bull alone can weigh up to five tons! Living in San Francisco, I’m used to large marine mammals, but our sea lions have nothing on these guys…they were enormous. While on the island, we also witnessed the rare spectacle of an albatross in flight, one of the largest of all flying birds. If your interest is in glaciers, this place does not disappoint either. We had the opportunity to visit the face of two large glacial icecaps, the one on King George Island proper and the one on Nelson island. 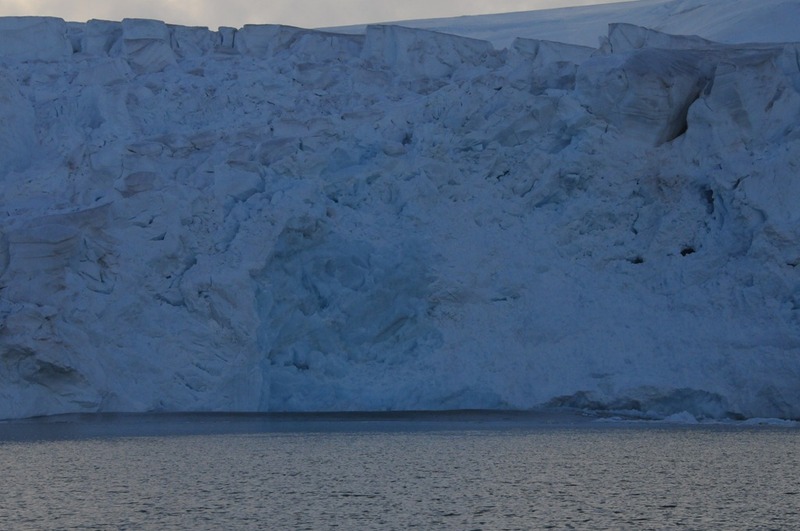 It was on Nelson island that we witnessed the glacier calving large chunks of ice directly into the ocean water, a phenomenon that produces some serious wave action immediately afterwards. Watching a massive wave get generated off of a 100 meter glacial cliff face and head towards your tiny zodiac raft is enough to get your heart pumping faster, I can guarantee that. 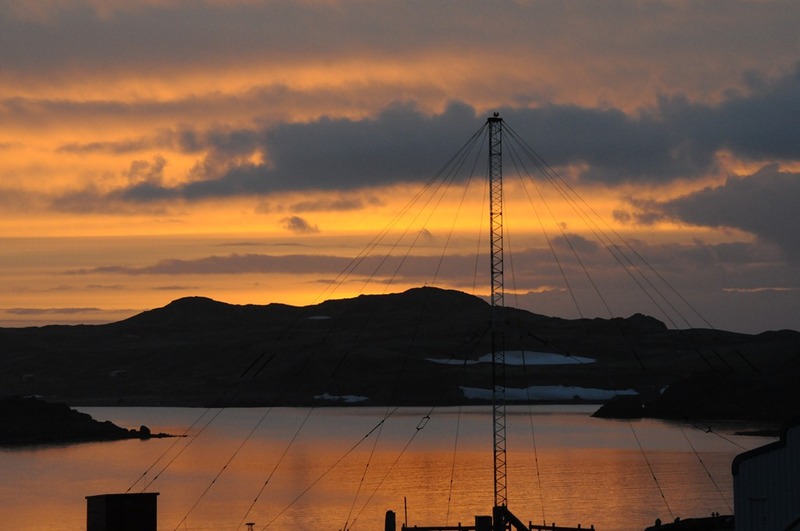 And, of course, being less than five degrees north of the Antarctic Circle in Southern hemisphere summer gives you the advantage of experiencing sunsets around midnight and sunrises only a few hours later. Because of the angle in which the sun sets, these sunsets and sunrises seem to go on forever over this magical landscape. Not to be one to spurn a challenge, my friend Joel and I even took the opportunity for a midnight polar bear swim in the frigid Southern Ocean waters, a mind-altering experience that demands a nice warm beverage to be made available immediately thereafter. 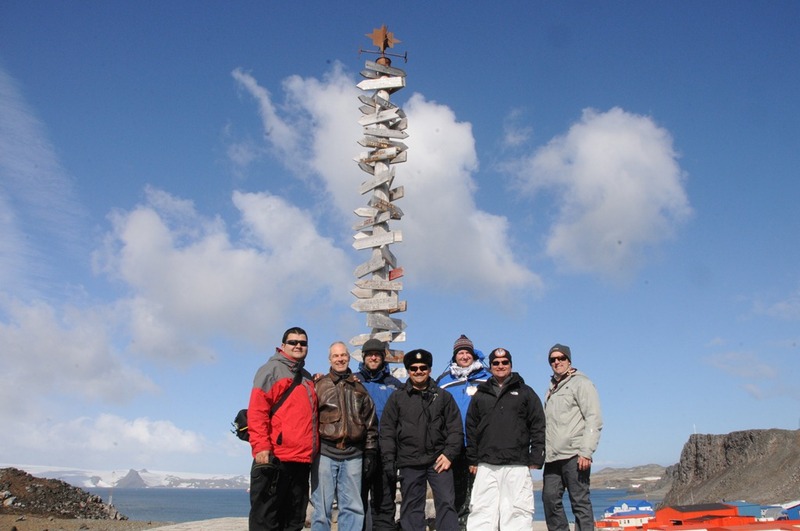 This trip to the ‘end of the earth’ was eye-opening and a completely magical experience. The STP team of myself, Joel Oleson, Paul Swider, Dan Holme, Mark Miller, and Ricardo Munoz left Antarctica utterly exhausted, living off of adrenaline the entire time we were there and having all agreed that we witnessed something that can never be fully described. Pristine landscapes teeming with wildlife, calving glaciers, porpoising penguins, and massive sea elephants were, of course, incredible. 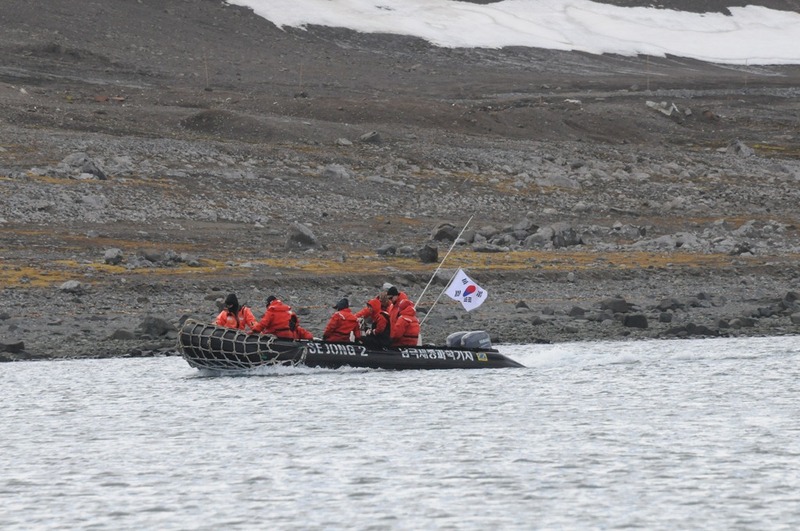 But what was the most fascinating aspect of this unbelievable world near the South Pole for me was the fact that it is the only place I know of on earth where everyone is not defined by their citizenship, but is instead simply a citizen of the world working together for the common good of humanity. That, my friends, is something that made this trip truly one that will never be forgotten. It’s the cold. It had you hallucinating. Russians, Chilians and Chinese co-operating? Penguins coming to say hello? You obviously had a nasty fever back in Chile and imagined the whole thing. Michael thank you so much for your awesome post. I will visit there in January-two questions please-does the post office actually stamp your post cards with an Antarctica postmark? I so want to do the polar swim but did you catch a cold afterwards? So exciting! Thanks so much and you were truly blessed to witness such beauty. Also-“simply a citizen of the world working together for the common good of humanity”-you should quickly put a patent on that! Thanks for the comments! I’m sure you’ll enjoy the trip there! Yes, the post office there puts an Antarctica postmark on the letters you send out, just don’t expect them to be delivered quickly! My letters took around 2-3 months to reach North America. And I didn’t catch a cold after the polar bear swim…the key is to very quickly move someplace warm and don’t linger around in cold clothes or anything. That part of the trip wasn’t a ‘scheduled’ one though…we simply had the overnight portion and decided at midnight to take a dip right off the main beach at Bellingshausen. 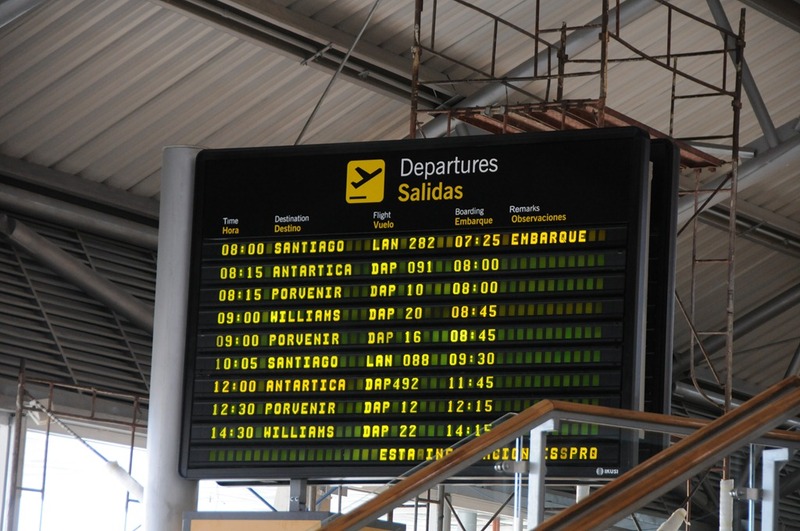 Enjoy your trip! Thanks for your reply-I will send a postcard to myself to help to cherish the memory-and I will find a warm spot FAST after my plunge!